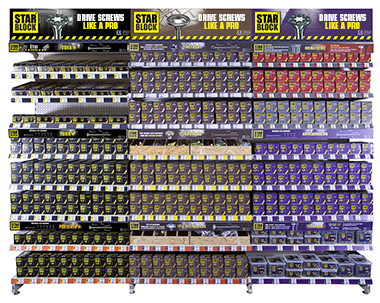 Each shelf is designed to optimise product visibility based upon the sale location with dynamic shelf signs and technical information to facilitate selection with dressed colourful fronts, sales aid banners and customised product labels. 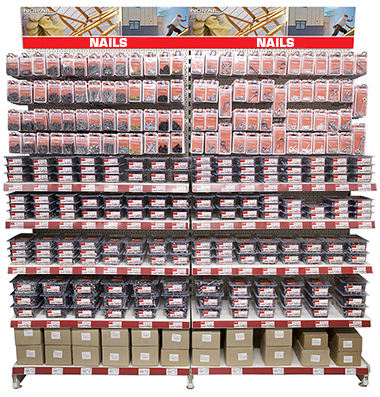 Would you like some information on an in-store display focusing on the Nail/Piton range? 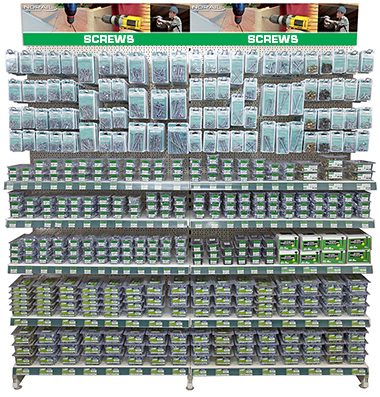 Would you like some information on an in-store display focusing on the Screw range? 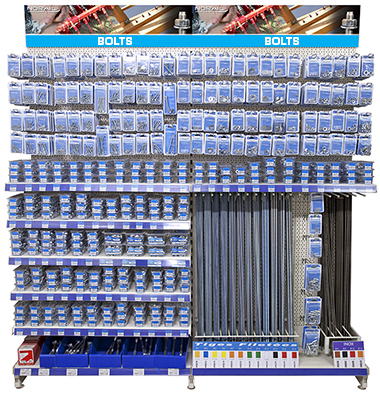 Would you like some information on an in-store display focusing on the Bolt range?  Developed to meet the requirements of construction site professionals: framework screws, wood/chipboard screws, coach bolts, carpentry screws, concrete screws and anti-corrosion screws. 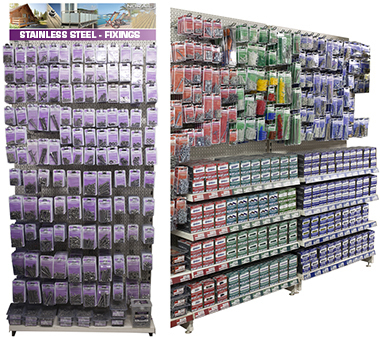 Would you like some information on an in-store display focusing on the Stainless steel Fixings range? 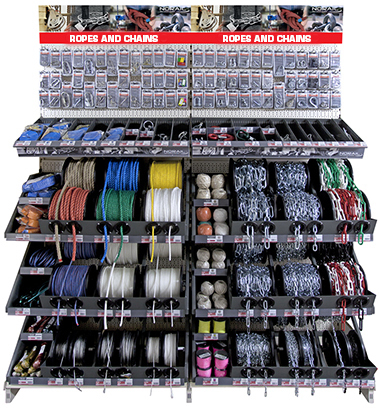 Would you like some information on an in-store display focusing on the Ropes and Chains range? 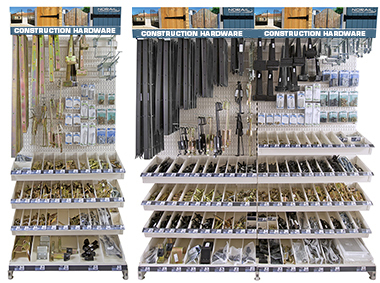 Would you like some information on an in-store display focusing on the Construction hardware range? Would you like some information on an in-store display focusing on the Furniture hardware range?